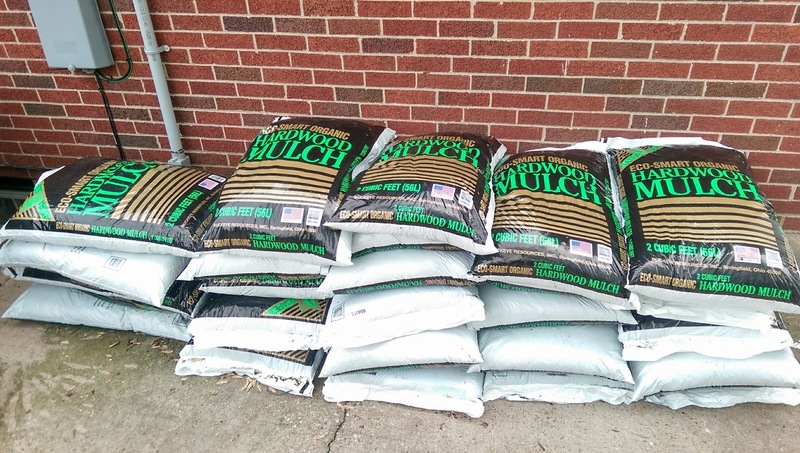 We supported Alter's Music Association and avoided half our mulching work with this delivery to our patio. The other half we could have avoided by using the Alter Lacrosse team's mulch spreading service, but the timing didn't work out with our hectic schedule. Drats.